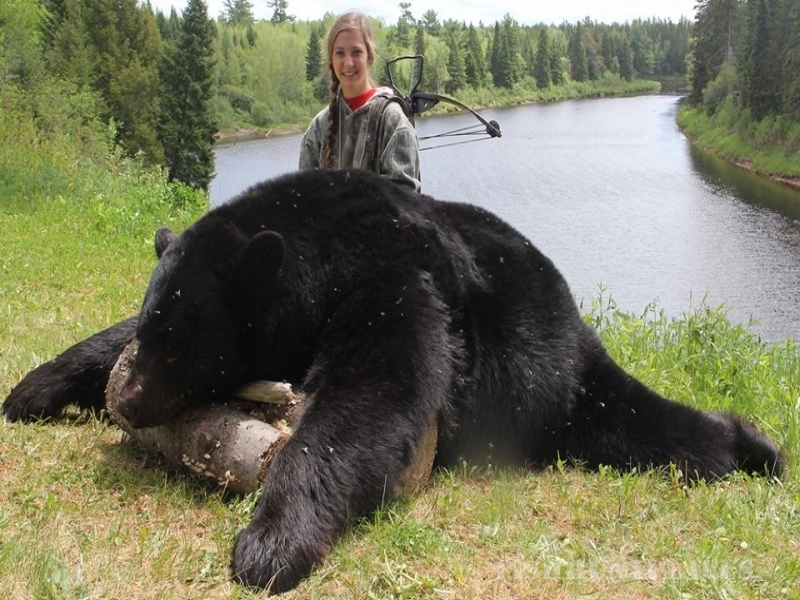 On average sightings of black bears are 95% – 100%. 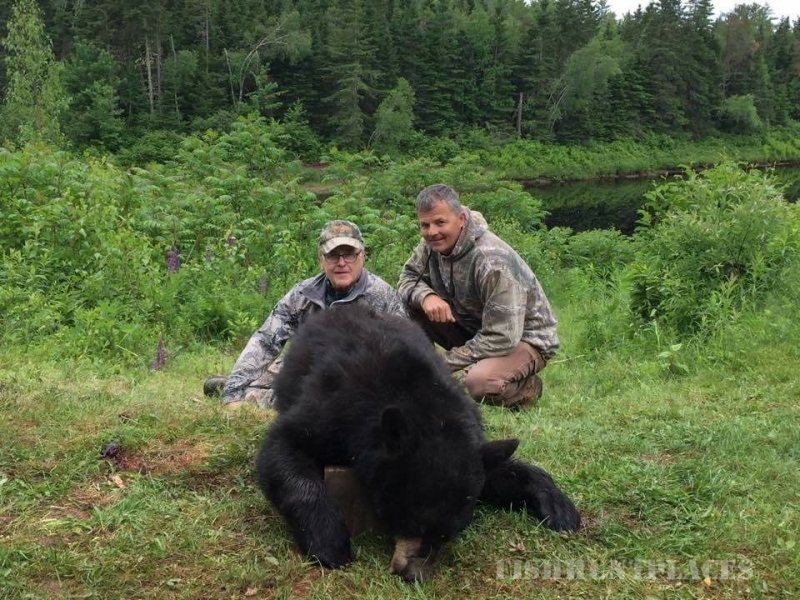 Our black bears are hunted over baits. These baits are checked daily. Having over 100 bait sites and relocating to virgin forest every two years gives hunters the best opportunity of scoring Boone & Crocket. Some permanent stand are available for all rifle hunters. 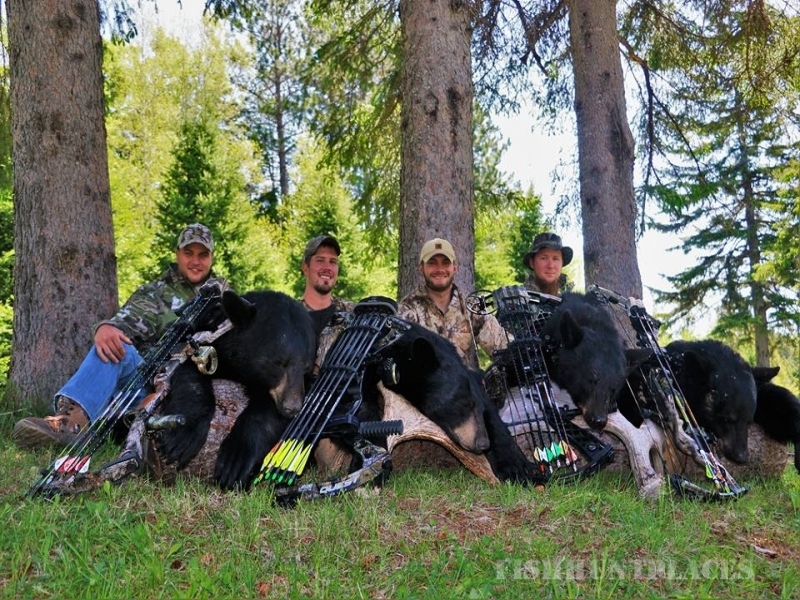 Stands are 20 – 50 yards away from the bait: bow hunters stands are 12 – 22 yards away from the bait. Keep in mind for fall hunts, that a full hunters orange hat in addition to 400 square inches of hunters orange on the chest front and back is required. 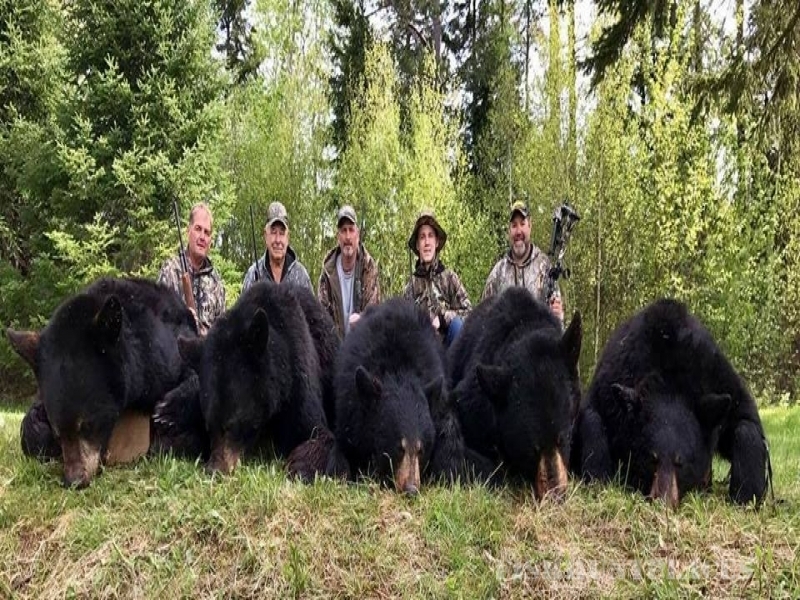 ~ Hunting black bears begin early May to mid-June. 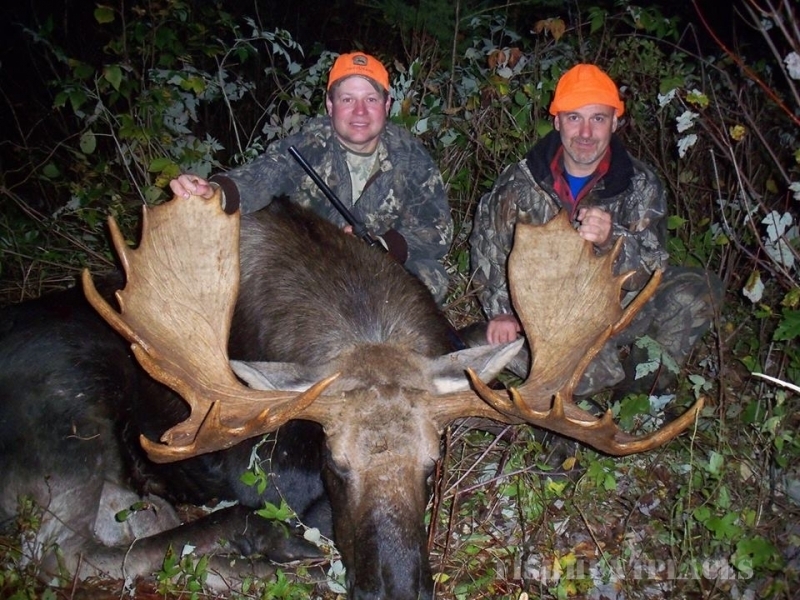 Spring hunts are from approximately 3:00pm – 9:30pm, Monday – Friday. As temperatures vary so much at this time of year, please check our website for an up-to-date weather report before your departure. We suggest you bring full camo and a head net; as flies could be bad at this time of year. 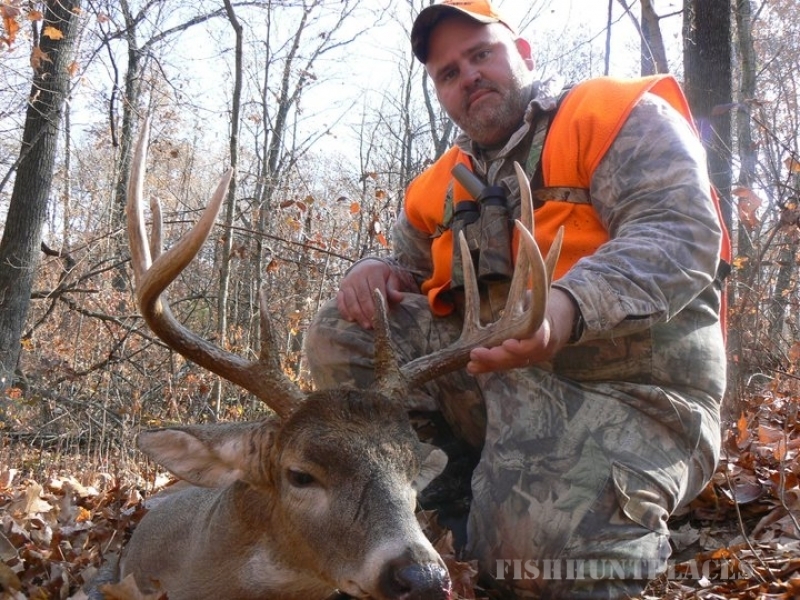 For spring hunts, you can use bow rifle or muzzle loader.